The deal. The hook of Clean Up the Blood, other than that it’s not actually a Slayer album, is that it was recorded live to tape using analog equipment. And the sound plays a huge role in the record. It’s got a vintage muddiness, but also manages to keep the individual instruments relatively separate. Jon Atkinson, the band’s singer/guitarist, deserves a lot of credit for his production. But the rhythm section of Bill Stuve (bass) and Malachi Johnson (drums) are the real stars of the album. Just about every song has an authentic blues rhythm. Everyone respectfully plays just behind the beat and songs often sound like they’re on the verge of falling apart. That’s the beauty of the blues. It’s not about proficiency or licks. Rather, great blues evokes a mood of sadness, but also of uncertainty. 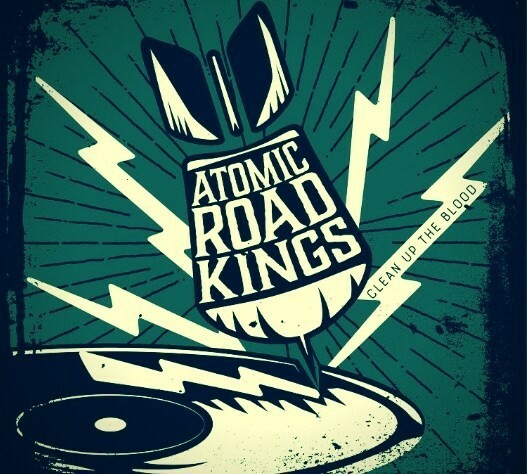 And that’s what the Atomic Road Kings accomplish here. The band is actually a project between Atkinson, who’s played with played with Kim “Fabulous Thunderbirds” Wilson’s solo band, and harmonica player Eric Von Herzen, who’s played with everyone from Social Distortion to Kid Ramos. The two have a great on-record chemistry, and their songwriting is also impressive. Atkinson doesn’t have a gritty blues voice, but rather a smoother, rockabilly-styled one. At times, he sounds a bit like Roy Orbison. The texture of his voice mostly comes from the recording, which gives it a very cool spectral quality, like we’re overhearing songs floating from the past into the present. Von Herzen is a fantastic harmonica player, with a tone as comforting as a thick, warm blanket, and with the lyricism of a horn player. ​Straight talk. Focusing on how the album was recorded (it’s even written all over the CD packaging) takes away from the performances and the songs, both are which are really good. 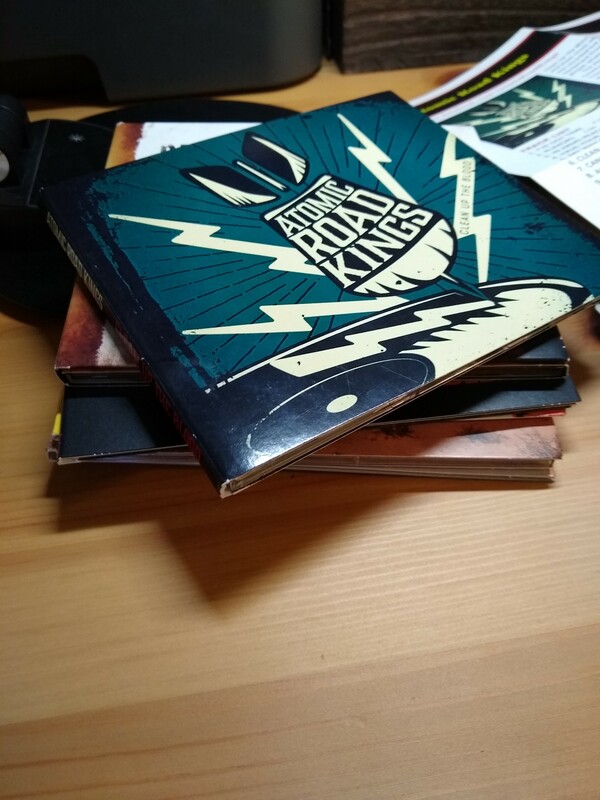 I understand that artists need gimmicks to get people to listen to their music, but I wish the Atomic Road Kings had trusted their music a bit more. This is a great album, and would still be, even if it was recorded digitally. The recording technique gives the album a great sound, but it’s effective because Atkinson was working with well-performed music. The confession. I play this fairly often around the apartment and enjoy it. I wanted to review it but was waiting for something clever to pop into my head to say about it and nothing did, and soon it had already been out for weeks. I always have trouble with authentic blues albums like this. I love when bands can nail that classic Chicago electric blues sound, because they’re staying true to a classic form. There’s not necessarily anything new happening, though. So here we have a well-executed album that’s a joy to listen to, but that isn’t necessarily innovative. It’s “just” perfectly done. Closing arguments: The key to this album is that as good as the artists are, they’re not afraid to lay back. They’re not recording to show off. They’re just making great music. The best example of this is “Rumors,” with its slow groove, like the heartbeat of a dying man, and it’s “Dazed and Confused” inspired bass line. Von Herzen’s harmonica and Tony Delgado’s guitar scurry around the song not in displays of instrumental prowess, but rather reacting to the song. Atkinson’s vocals hang back just a little bit, providing the song with its structure. It’s a perfect track. Ultimately, it doesn’t matter that there’s not much new on this album. Just because songs are familiar doesn’t make them any less pleasurable or exciting.